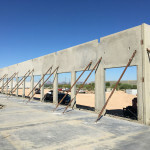 Working in Arizona for nearly four decades, Sun Valley Masonry has built a successful portfolio of projects big and small, complex and simple. A recent growth spurt—which has driven revenue to $61.7 million in 2015, an increase of more than 70% from 2013—has made the firm one of the largest subcontractors in the region as ranked by ENR Southwest’s Top Specialty Contractors survey. Company leadership says the rising returns directly relate to its philosophy of performing precision workmanship, keeping a keen eye on safety and being a reliable partner to clients. According to Ian McDowell, project manager with Sundt, such qualities make Sun Valley Masonry a key collaborator. The company began when Kenneth Nessler moved to Phoenix from Illinois in 1977, armed with a new box of business cards and a packet of legal pads. But its foundational partnership came when Nessler’s friend and partner, Robert Baum, joined him in Phoenix to run field operations in 1981. 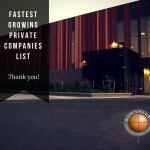 Fast-forward to the present, and the firm employs more than 400, is part of some of the most high-profile projects in Arizona and is able to maintain small-job scalability. The firm, which is being led by the next generation of family members, has also successfully transitioned to become more of a regional player, with offices in Tucson and Stillwater, Okla. While Baum and Nessler remain involved to offer guidance, sons Todd Nessler and Todd Baum, vice presidents, along with Baum’s cousin, CFO David Beer, now run the privately held, limited-ownership firm.